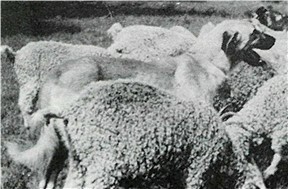 Jean Ebeling, owner of numerous working Anatolians over many years, stated that King is the best WORKING FLOCK GUARDIAN she ever owned. Pinarbasi's King is a working legend in the breed. He lived out his life on the Ebeling Angora goat farm in Marble Falls, Texas. 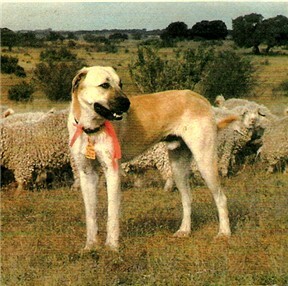 ASDCA's "Outstanding Livestock Guardian Dog" Award in 1990. Jean Ebeling published a children's book, Waldo, that describes how one of King's sons, Waldo, when only a puppy, took over his father's duties in the field when King seriously injured his foot that had been caught in a trap.